Best Price Guarantee | Vegas.com: If you purchase your tickets via the link provided on this page and find a better price for Comedy Cellar tickets for the seats purchased, Vegas.com will match the competitor's price and refund the difference. That’s customer care you can count on. 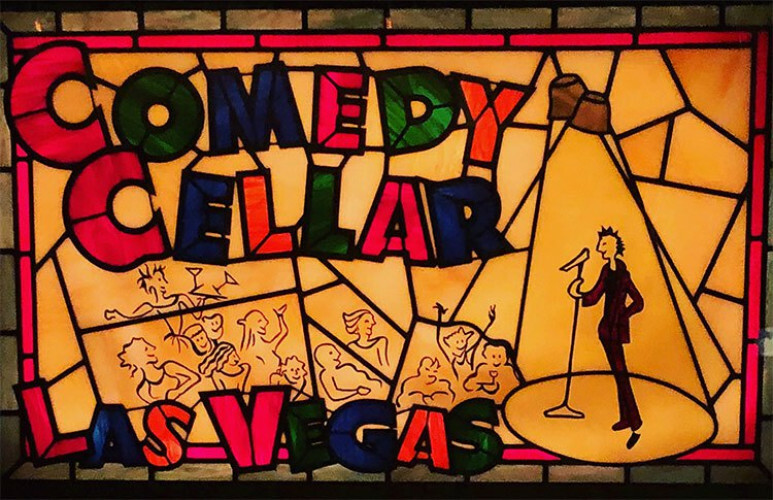 Why are we claiming the Comedy Cellar – now open at the Rio Hotel and Casino – is the “greatest” comedy club in the world? * Is rated THE #1 comedy club by Google Reviews AND #1 by TripAdvisors… (you can look it up… ok, you may have trust issues… you really do need an hour and a half of wall-to-wall laughing… so here ya go. * Features not just an MC, middle act and a headliner doing an hour (like other clubs) but 5 TV Headliners doing their best killer 20 minute sets – in each show! Thanks very much for being part of the best comedy experience you can have anywhere. We can’t do it without you! From Amy Schumer to Chris Rock, the critically acclaimed Comedy Cellar from NYC is the hot spot when it comes to comedy gold. Now, it's coming to Vegas to give us a piece of the action. Comedy Cellar is coming to the West Coast after 36 years of success in New York City. If you think about it, that's enough laughs over the years to get everyone in the world through those dreadful Mondays and home to a glass of wine. Every night, five comedians will stand-up on stage and do what they do best, make the whole crowd laugh. Dave Chappelle, Ray Romano, and even Jon Stewart got their start here, and look where they ended up. All with their own shows. And if all those legends came from the same place, you never know which big rising comedian is going to come out of this cellar in Las Vegas. Comedians are like a fine wine, give them time and they'll be the best thing you've had all year. The Comedy Cellar is ready to get Vegas drunk on laughs.